I was talking to a new full-time van dwelling friend, and conversation led to a discussion of some of the things people (van dwellers and nonvandwellers alike) have done to make us uncomfortable as single women living in our vans. As a public service as the RTR (Rubber Tramp Rendezvous) approaches, here are seven tips on how to politley interact with van dwellers and other folks who live in an RV or other vehicle. Don’t sneak up on anyone, When approaching someone’s camp, a hearty yoohoo! or hello! announces your presence. Folks don’t like to be surprised by someone in their space, especially if the visitor is interrupting private time. Try not to walk through anyone’s camp. If possible, walk on a camp’s perimeter. Give rigs a wide berth. If you see someone outside their rig cooking, maybe it’s not the best time to visit. Ok, to be fair, I don’t know if visits during meal preparation bother most people, but such visits really irritate me. Don’t tell other people what they need to do or buy. It’s great if you’ve figured out what works for you, but something that works for you won’t necessarily solve other people’s problems. If someone asks for or seems open to suggestions, by all means share your knowledge and success, but you don’t have to put on your bossy pants. Don’t take photos of people or their rigs unless you’ve asked for and received consent to do so. Certainly don’t post such photos on social media or anywhere online without permission. If you want group shots, try taking a photo of the back of the crowd. Announce your intention to take a group shot so folks who don’t want to be in it can look elsewhere or walk away. Don’t peer into windows or stick your head into open doors to take a peek inside someone’s rig. 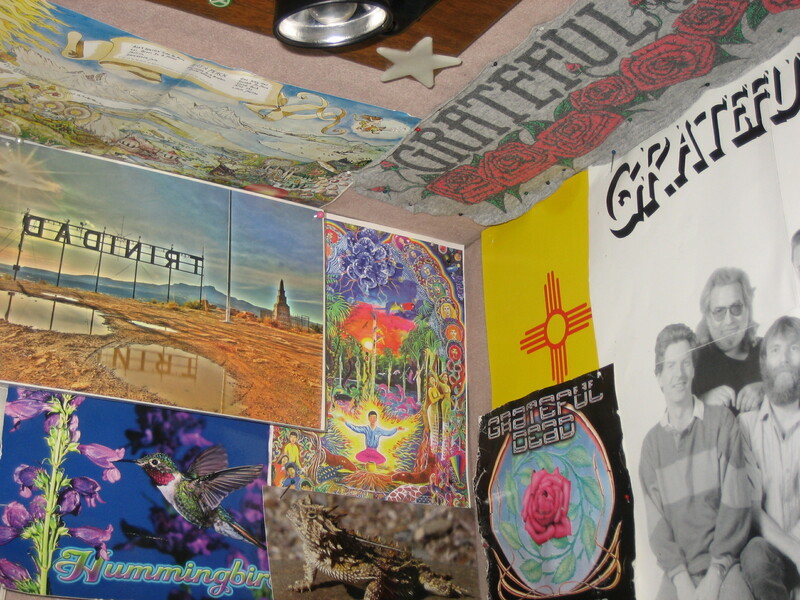 If a van dweller wants you to see the inside of the rig, you’ll be invited. If you were walking through a neighborhood and saw a cute house, would you walk right up to a window and try to look in? The people who lived in the house might not want to be friends with someone who did such a thing. Unless there’s a bonafide emergency, do not enter anyone’s rig unless you have asked for and received permission to do so or have been invited in. Again, imagine you’re walking through a neighborhood. If you saw a house with an open front door, would you step inside and have a look around? I don’t think so! When a van or RV or car is someone’s home, pleast treat it that way and don’t encroach on anyone’s privacy. 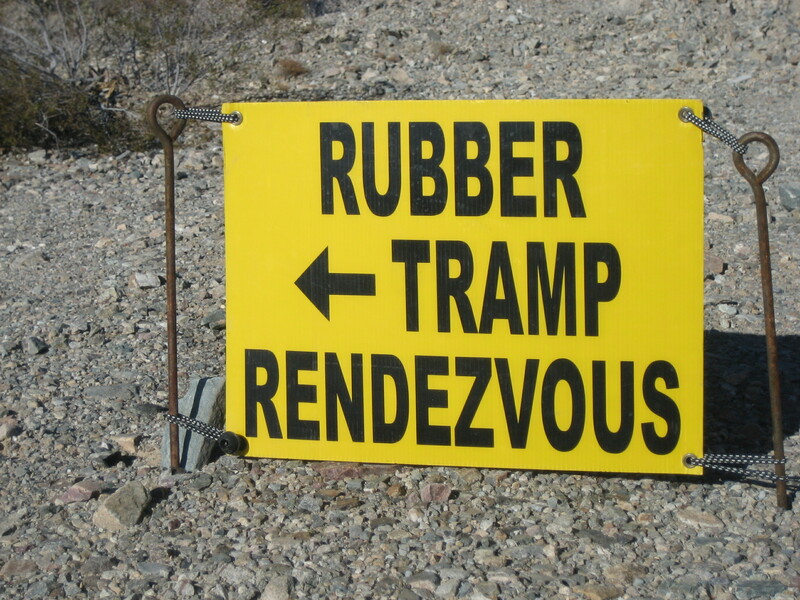 This public service announcement brought to you by the Rubber Tramp Artist. Why did you chose this lifestyle? How long have you been living this lifestyle. This use of the term “lifestyle” annoys me for a couple of reasons, the first personal and the second more broad. Of course, this is not the first time I’ve been annoyed by questions about my “lifestyle.” Back in the day, I remember being asked to talk about “the anarchist lifestyle.” Then and now, my answer is the same: I can tell you about my life, but I really can’t speak about a lifestyle. To me (and Merriam-Webster doesn’t exactly validate my belief), life is authentic, but lifestyle is more about wanting to be. I guarantee you, the life I am living is authentically my own. I’m not aspiring to be something else. I am not trying to be someone I’m not. I’m doing my thing, living my life, not attempting to live in some specific way so I can fit in with some specific group. The only “lifestyle” I can speak about is the Blaize Sun/Rubber Tramp Artist lifestyle; in other words, my own personal, individual life. the usual way of life of a person, group, or society. So what is the “usual” van dweller or rubber tramp way of life? Is there a usual, typical, customary, normal, standard, established, conventional, traditional, or predictable way that van dwellers live their lives? While some van dwellers live in banged up old cargo vans, others reside in late-model, expensive Sprinters and Class B RVs. Some folks make their homes in 20+ year old conversion vans and some folks live in minivans. Some rubber tramps aren’t van dwellers at all, but live in cars and SUVs. Are all of those folks living the same lifestyle? 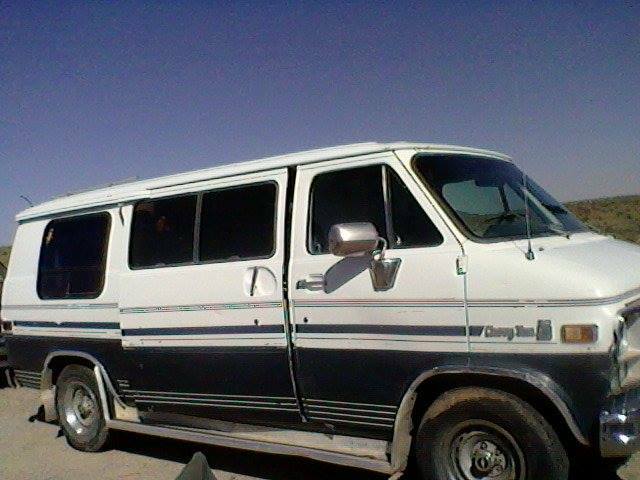 Some van dwellers receive money from pensions or trust funds. Some get monthly disability or social security payments. Some of us have to be frugal to survive, while others are able to live as extravagantly as they desire. Some of us still have to work for money (full-time job or a part-time job or seasonal work) if we want to eat. Are we all living the same lifestyle? Some people are living in vans that have been painstakingly and expensively customized. Some rubber tramps have insulated their vehicle’s walls and put down nice flooring, tinted the windows, and installed enough solar panels to power a house in the suburbs. Other people throw down a blanket on the floor and call it good because that’s all they can manage or afford, or maybe because they like to live a simple life. Which of these folks is living the van dweller lifestyle? Some van dwellers are only living in their vans part of the time, taking weekend trips or driving their vans on vacations. Some folks are taking extended trips, but have a conventional home to return to whenever they want. Some people are living in their vans 24/7, with no other home to go to if they get cold or sick or tired of being on the road. Some full-timers have every possession they own with them, while others pay for storage facilities or leave belongings with friends or family. Are the lifestyles of these people the same or different? I’m not interested in settling on qualifications for “real” van dwellers or rubber tramps. I’m just saying, as far as I can tell, there’s not one “lifestyle” being lived by every van dweller or rubber tramp. There are an infinite variety of ways to live based on individual choices. Talking about “the lifestyle” doesn’t even make sense. Personally, I’m not interested in living a ‘lifestyle.” I want to live my life. It’s easier to change that way. If I commit myself to a “lifestyle” of van dwelling, what does that mean when I house sit or stay with friends or rent a room in a house for some period of time? Living my life seems a flexible; I can evolve and change . If I decide to live a “lifestyle” I have to stay within the parameters set by the group if i want to keep my place in the group. I’ll just continue doing things the way that works for me, thank you very much. I’ll just live my life. 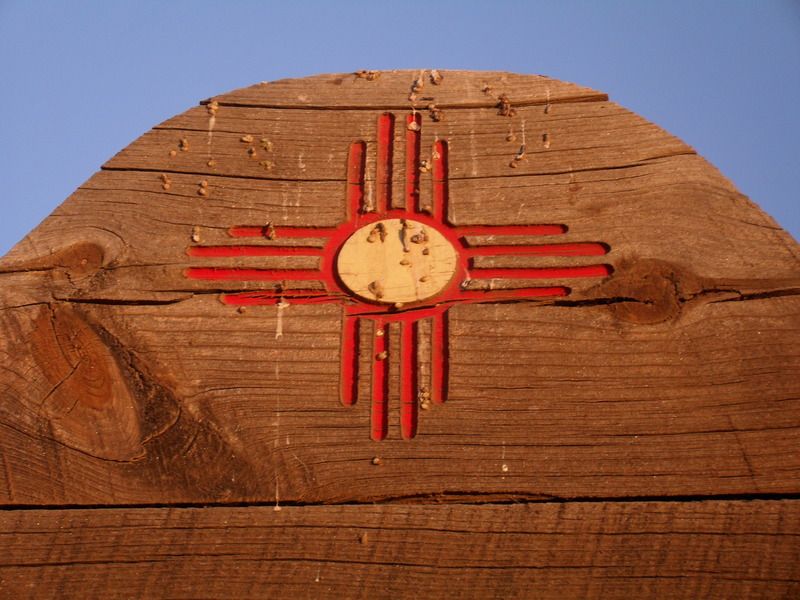 I’ve been writing about Truth or Consequences, NM in the last few days, and several people have told me they now have T or C on their list of places to visit. It would hardly be fair to get folks excited about visiting the town and not tell them where they can stay. fully modernized King Deluxe and Double Queen rooms…include fridge, microwave, WIFI and HDTV/basic cable. [The property is] family run, dog-friendly and walking distance to Main Street. 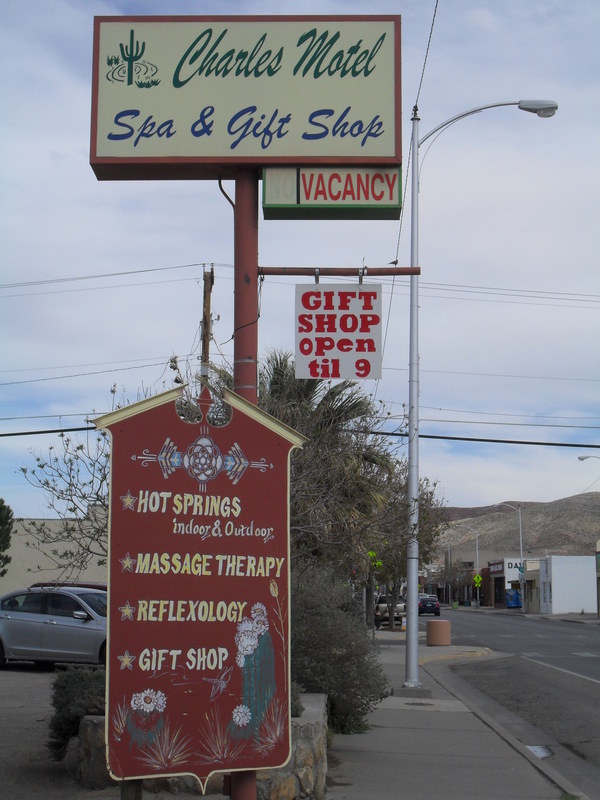 I chose the Rocket Inn because I could walk from my room to downtown where I was able to sample the wonderful hot springs bathhouses. Everyone working at the Rocket Inn, from the owners to the housekeepers, were exceedingly nice to me and made sure I had everything I wanted and needed. The rooms were impeccably clean, and I felt perfectly safe there. 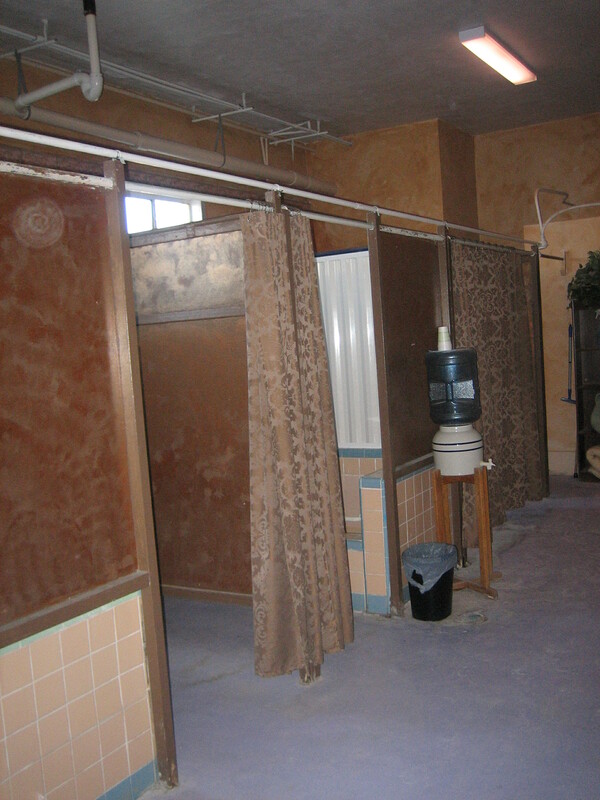 The third time I visited Truth or Consequences, I stayed at the Artesian Bath House and RV Park (at 312 Marr Street) for two months. 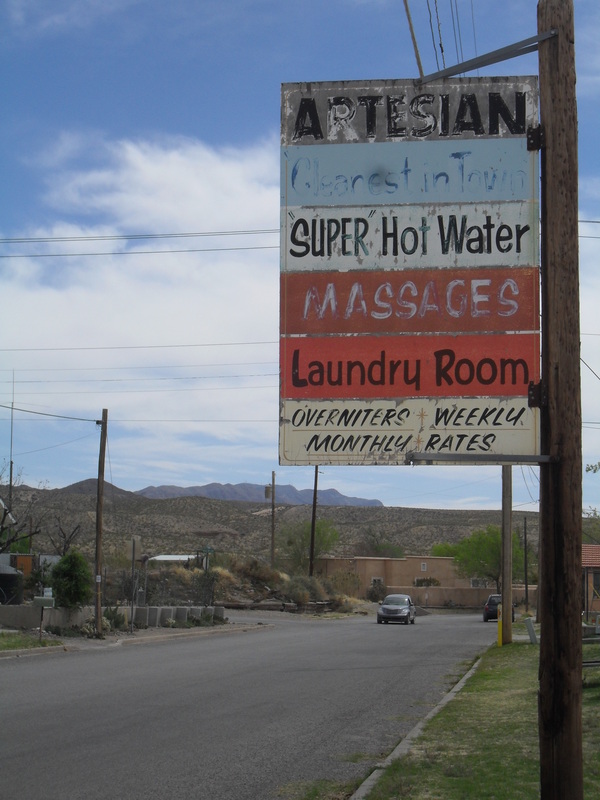 Nightly and weekly rates at the Artesian were reasonable, but the monthly rate was a fantastic deal. 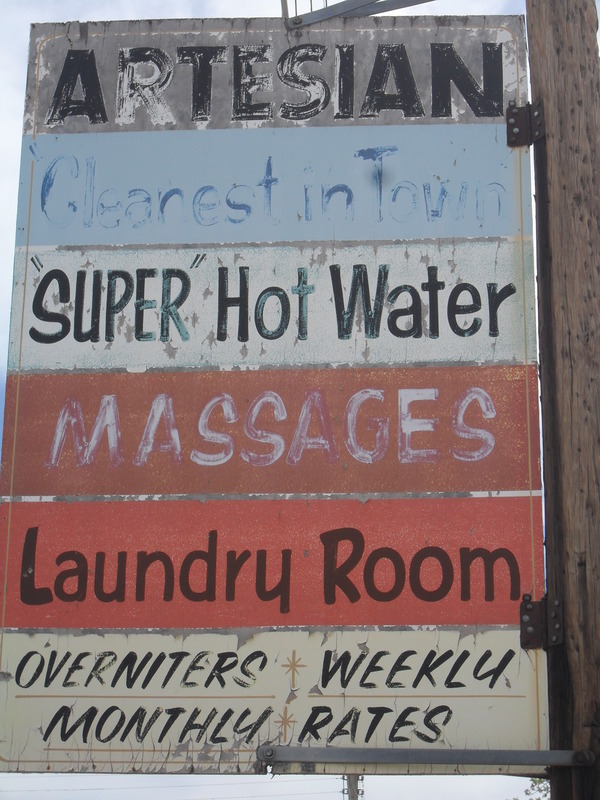 The Artesian Bath House opened for business June, 1930. 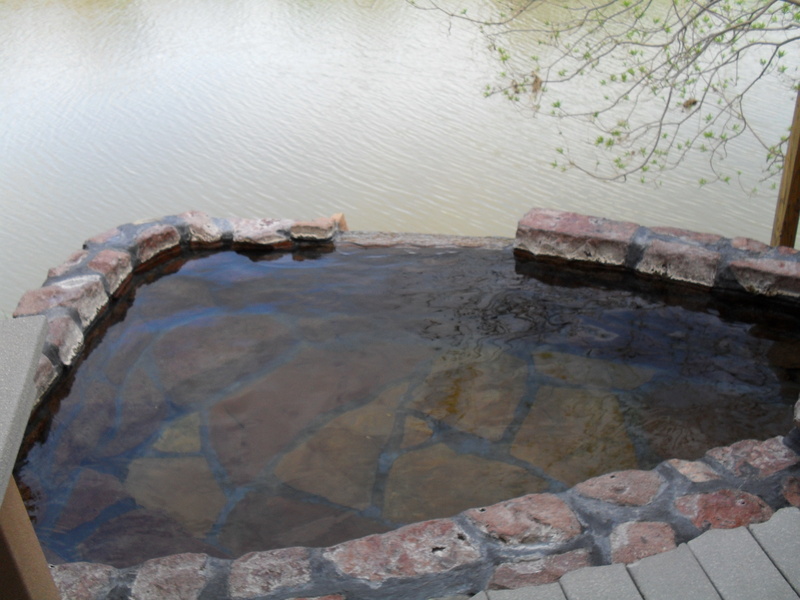 For over 33 years the Martin’s [sic] have owned, operated, and maintained their commercial hot springs. The Artesian is great for vandwellers, as there are restrooms on-site, and one can take a hot bath if one wants to clean up. I have also had great success stealth parking and boondocking in the town of Truth or Consequences. I’m not sure if I’m actually as stealthy as I like to think I am or if no one in T or C cares about who’s sleeping in a vehicle in a residential area, but when I left in December of 2015, I’d never been bothered during my nights in the van. Lots of folks park overnight in the parking lot of the T or C Wal-Mart. I have seen everything from luxury Class A’s to old-school motorhomes held together with duct tape and prayer to stealth vans parked in that lot. On some nights I’ve counted a dozen vehicles parked there, then counted them all again in the morning as I walked toward the doors of the store. Sometimes I call that parking lot the Wal-Mart RV park. 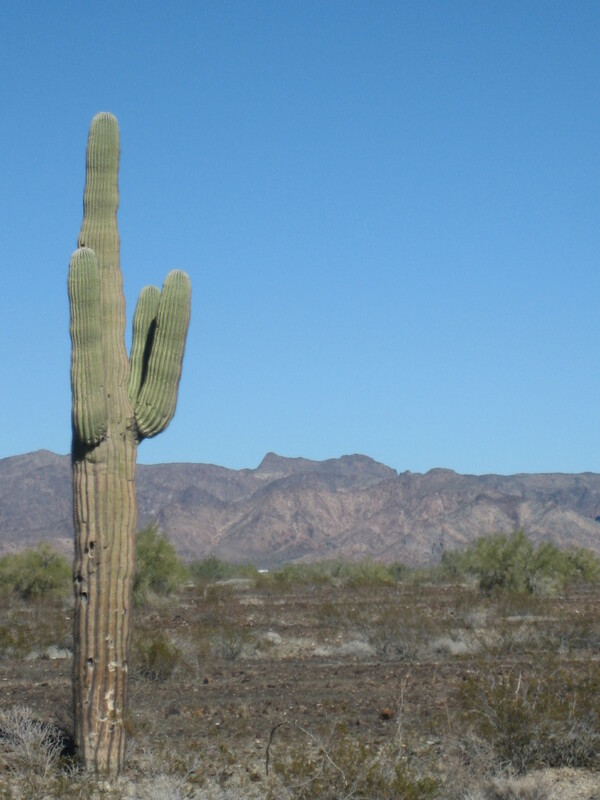 For folks who want to get out of town and into nature, there’s plenty of that in the area too. 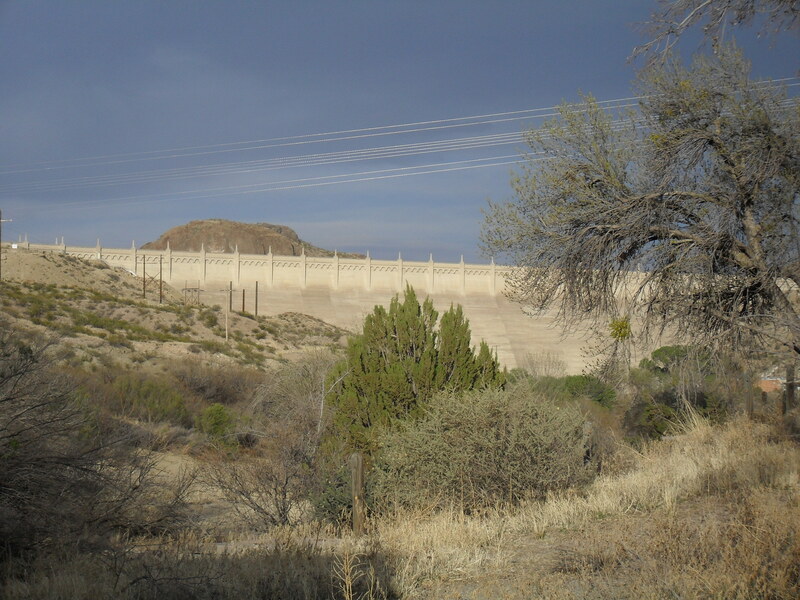 Elephant Butte Dam…is a concrete gravity dam on the Rio Grande river near Truth or Consequences, New Mexico. The dam impounds Elephant Butte Reservoir, which is used for both recreation and agriculture. 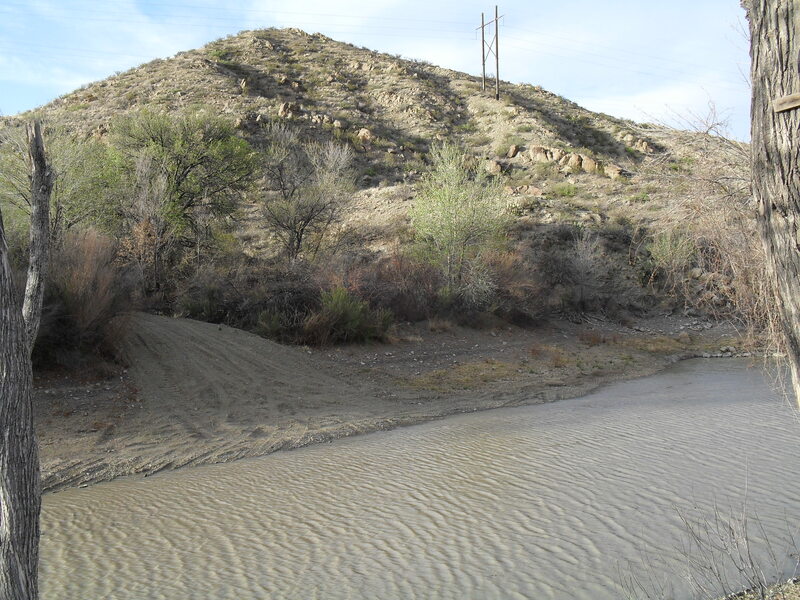 The construction of the dam has reduced the flow of the Rio Grande to a small stream, with high releases occurring only during the summer irrigation season, or during years of exceptionally heavy snow melt. Elephant Butte Dam is the large concrete structure in the middle of this photo. 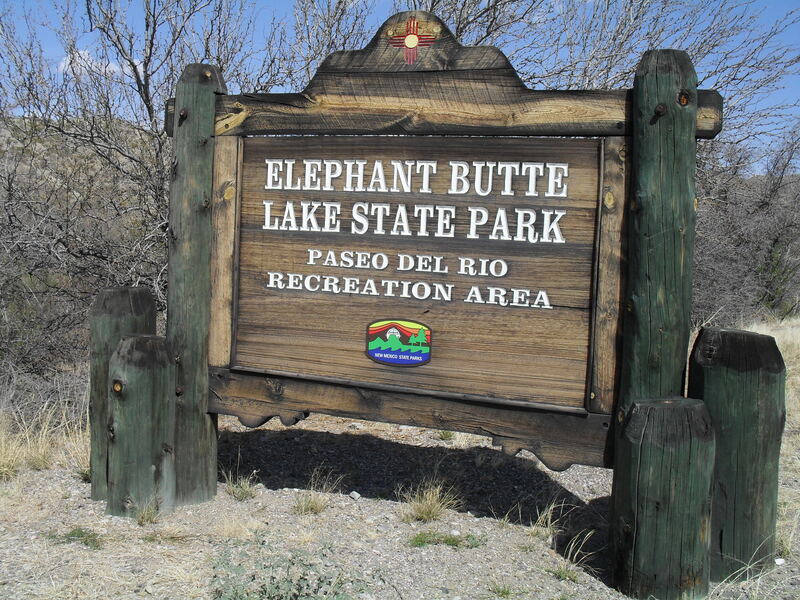 The Paseo del Rio Recreation Area is part of Elephant Butte State Park. 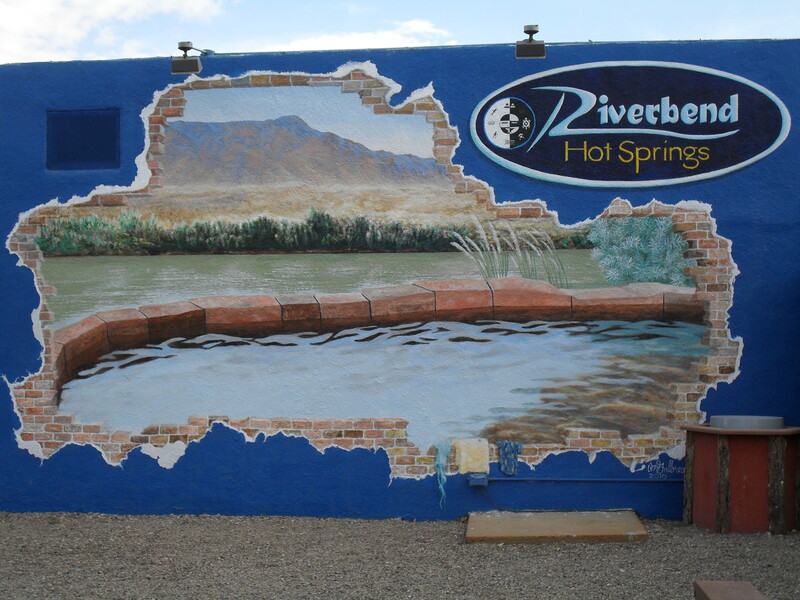 The Paseo del Rio includes a campground I stayed at for a couple of nights during my first visit to the area. 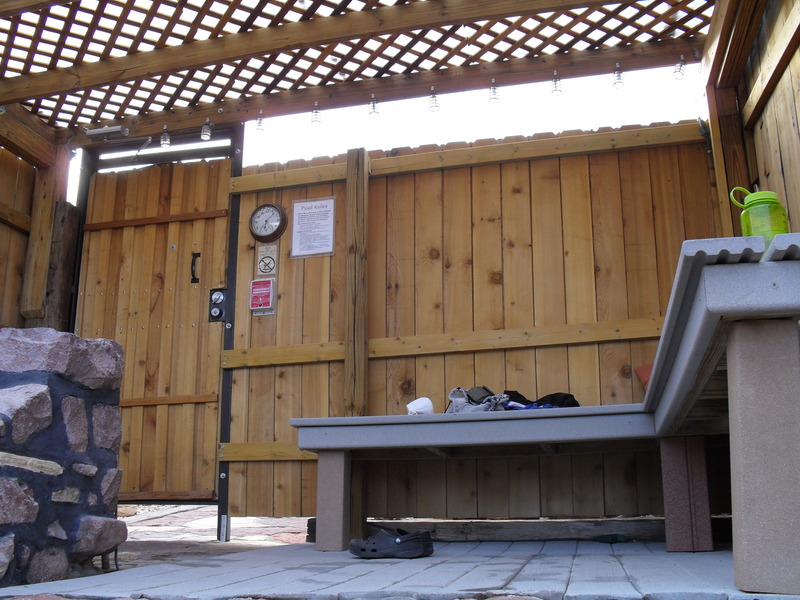 When I was there, the campground did not offer water, sewage, or electrical hookups, but each campsite had a fire ring and picnic table covered by a ramada. 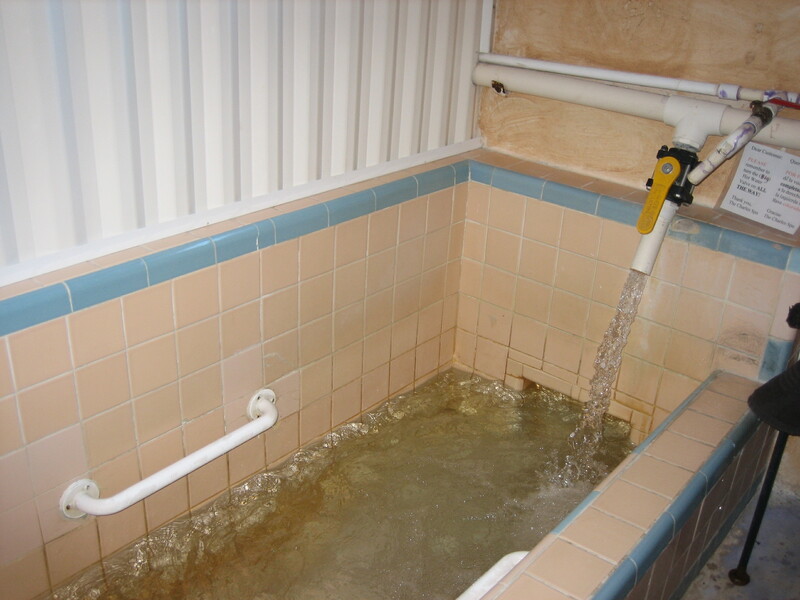 There were flush toilets and sinks with running water on one end of the campground, near the day-use parking lot, and portable toilets at the other end. I believe the camping fee was $10 per night. 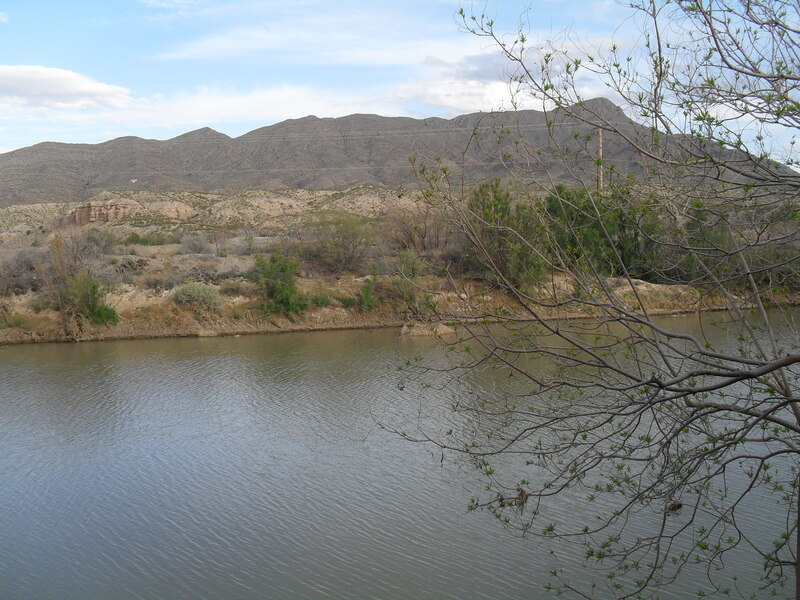 This photo shows the Rio Grande as it looked from the trail that ran through the campground. 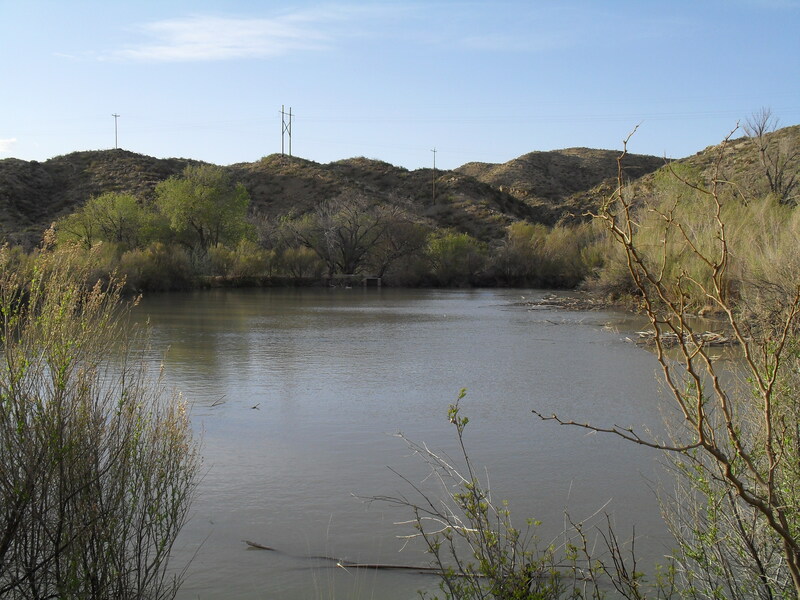 A 3/4 mile trail with “interpretive signage of historic interest” ran through the campground and along the Rio Grande, and there was a historic fish hatchery in the recreation area. I found the campground peaceful. There wasn’t much traffic at night on the road closest to the campground, so there wasn’t much disruptive automotive noise. This photo shows one of the fish hatchery lakes. The water drew birds, so there was a lot of avian life in the area. 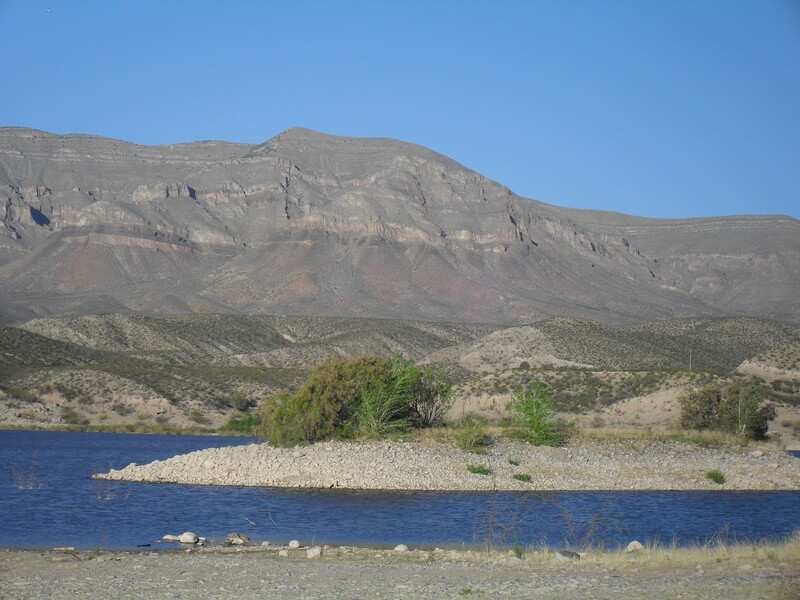 This photo shows Caballo Lake, with the Caballo Mountains beyond it. I also spent a couple of nights at the Percha Flats camping area at Caballo Lake State Park. 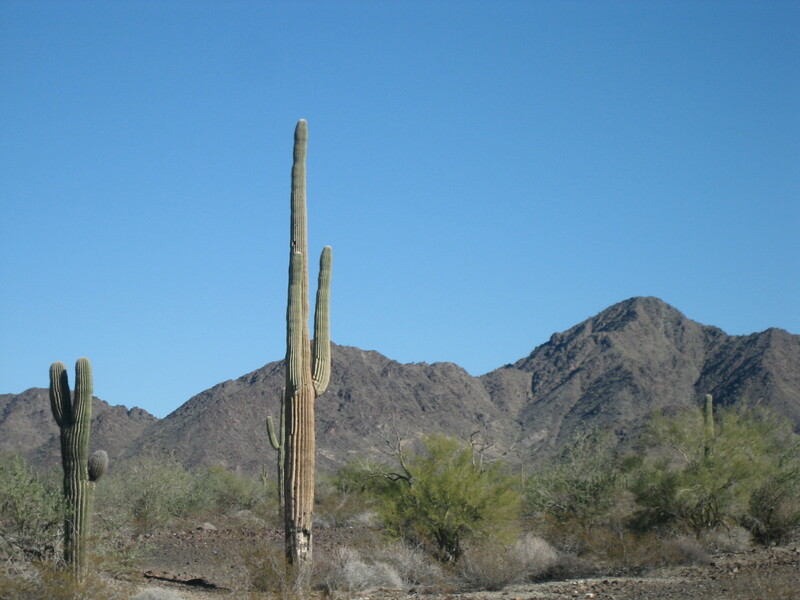 Percha Flats was a primitive camping area with no designated campsites, no running water, no electricity, and no hookups of any kind. When I visited, there was a pit toilet and a dumpster near the entrance to the camping area. The camping fee was $8 per night. There were no designated hiking trails in the area where I stayed, but I did take some nice walks along the edge of the lake. The final campground I stayed in near Truth or Consequences was in Percha Dam State Park. The campground had many developed campsites, although mine only had a picnic table. My site had no ramada, and no hookups, although there may have been a water spigot there. (I can’t remember.) Many of the sites had electrical hookups, but I decided not to splurge on that. The campground also had flush toilets, sinks with running water, and hot showers that didn’t cost extra to use. I did enjoy a nice hot shower during my stay. My last tip is a boondocking spot about 3o miles away from Truth or Consequences. Last time I was there, the cute little town of Hillsboro (population 124) allowed folks to park overnight in the community’s tiny park across the street from the Black Range Museum. There were a couple of pit toilets in the park, as well as a few informational placards, and campfires were not allowed. I think this spot would be a good place to spend the night on a trip between T or C and Silver City. So there you have it. I’ve offered up several choices of places to stay as you start your adventures in Truth or Consequences and the surrounding area.